Set in the box. From left to right, contains a white base, yellow, orange, pink, and purple neons, and a topcoat. 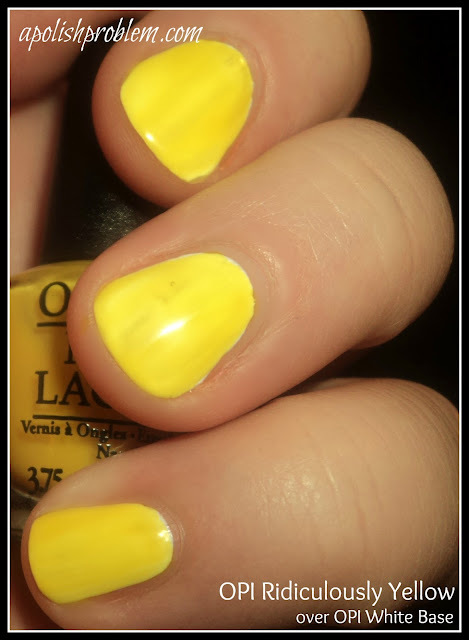 Ridiculously Yellow - neon, daffodil yellow. This is the only one of the 4 that I showed over the white base (like with the Lippmann, I had streaking with the darker colors over white). It's a little brighter than it's Lippmann counterpart, being a daffodil yellow, rather than an egg yolk yellow. Picture shown is 2 coats over 2 coats of the White Base. Formidably Orange - bright, red-orange neon. This one reminded me of a neon version of OPI A Good Man-darin is Hard to Find (much like the Lippmann). 3 coats. 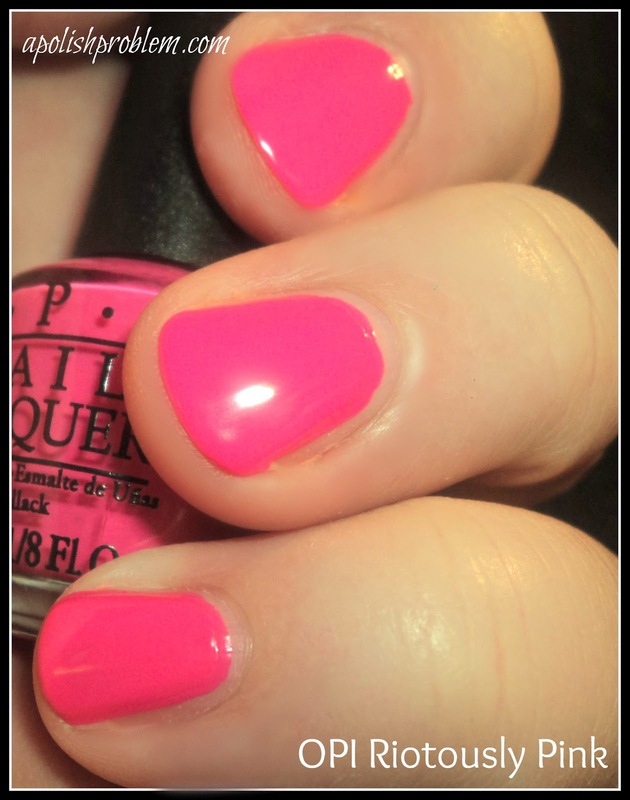 Riotously Pink - bright pink neon. This pink is very bright, but it's not retina-searing like Orly Beach Cruiser. I think this one would look amazing with a black stamped design. 3 coats. Seriously Purple - magenta purple neon. This one had a lot of red in the base, and reminded me of Zoya Charisma. 3 coats. The formula on all of these was very similar. 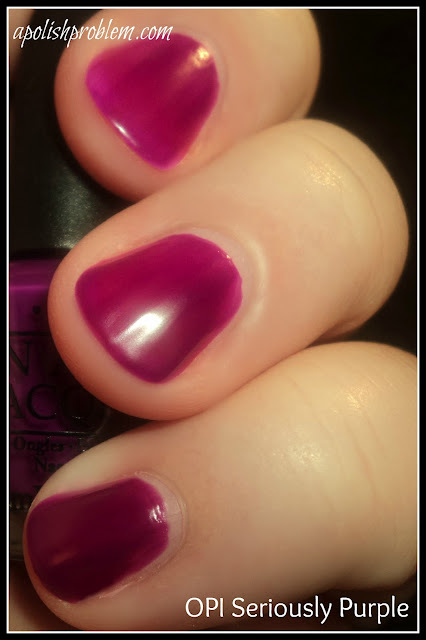 It took 3 coats to reach opacity. You will also want to wait a few minutes between coats as they are prone to drag. My biggest issue with these is the size of the bottle. I never use up a bottle of polish, so the amount of polish you get (a eighth of an ounce) isn't my problem. It's just that the brush is so itty-bitty. :P I also found myself wishing for a different color, such as a blue or a green or a bright (non red) purple. This OPI boxed set retails for $19.99, and can be purchased a supply stores, salons, and online. 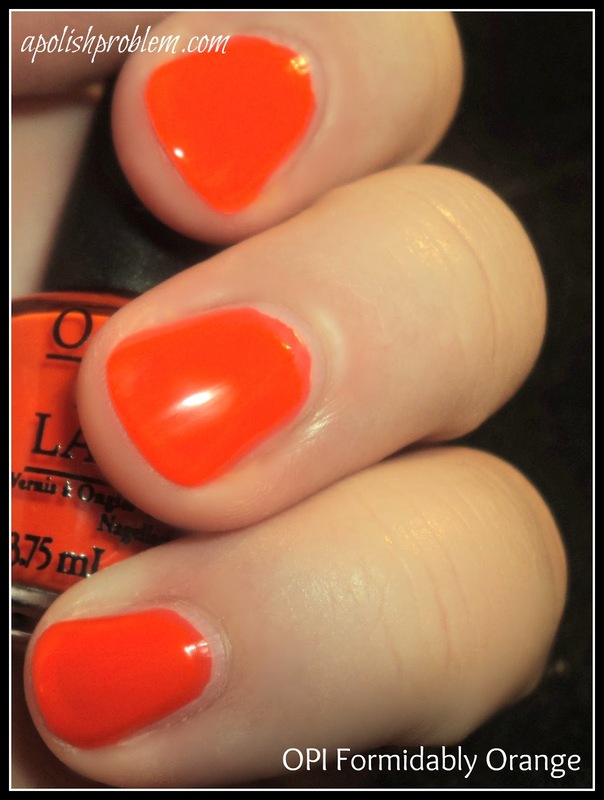 OPI Outrageous Neons was purchased by me.